It’s lines like the one above that leave no doubt that Toni Morrison is still the undisputed Queen of African American literature. Every single word she writes is intentional, and the beauty of the wisdom she imparts during her stories is the same feeling that you get when you’re sitting at the table with your grandmother in front of the best plate of soul food you’ve ever had. It took me a while to write this review because there is something about it that is not anything like any of her other books. It is short (less than 200 pages), with some sections were a bit too fast paced for my liking, hence the 4 stars. But there’s still a lot here. This is the story of Bride, a girl with “blue black” skin who is neglected by her lighter skinned mother as a child but manages to grow into a beautiful, successful businesswoman. 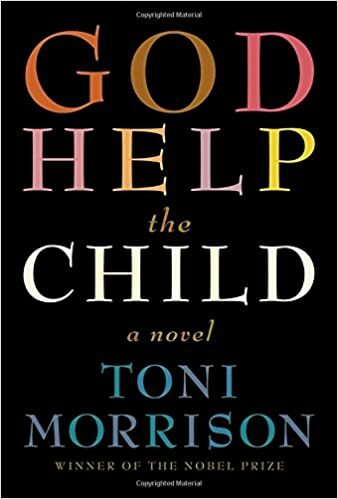 Immediately I thought that this novel was in the same vein as “The Bluest Eye” (a masterpiece, btw), with its exploration of colorism in the black community, but surprisingly, that is not the main theme here. This novel is more about the psychological trauma of our pasts and ways in which it manifests itself in our adult lives. All of the characters in this book carry burdens, deep wounds that become detrimental to their lives and the people around them. I won’t give away this book (I never spoil books I like), so you’ll have to read it for yourself. I wish it had been longer, but this is still great writing here, as Toni Morrison is capable of nothing less.